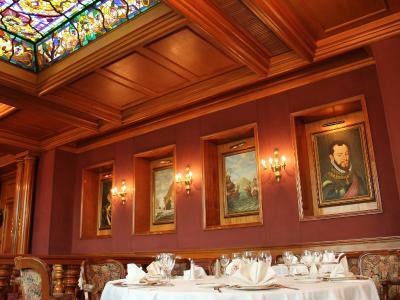 Lock in a great price for Sevilla Palace – rated 8.4 by recent guests! Staff was really courageous and helpful. Room very clean. Confortable bed. Overall in really good experience. Great location. First room I was given had an ashtray and when I told them I needed non-smoking they gave me a bigger room that was great. Staff was extremely friendly and helpful. The concierge always advised us of the best locations to visit and where to avoid since we were traveling with our young son. We felt extremely safe. We will return soon! The hotel has a preferred group of taxi drivers. Enrique Sanchez was amazing! He drove us around the city, took us to different attractions, and most importantly, kept our family safe. Great price for a safe tour around the city. 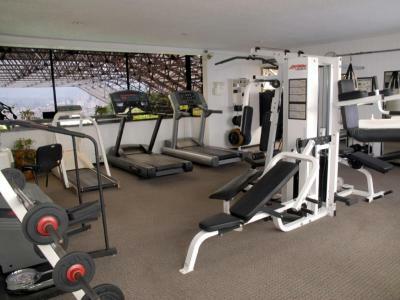 Hotel is located in a very safe area with plenty of places to walk to. It is perfectly safe to walk around at night and the city is beautiful! Try Taqueria El Caminero for great local food! It's a short walk from the hotel and their tacos were bomb! The service of The restaurant people and Valet are INCREDIBLE. The price is great for the area! 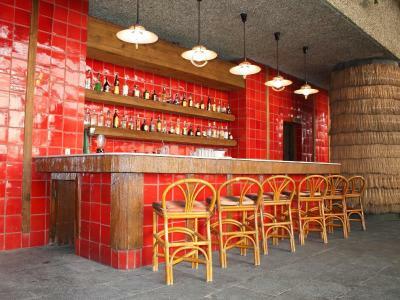 The location is super! Good location. Good cleanliness. Good staff. Good value. Sevilla Palace This rating is a reflection of how the property compares to the industry standard when it comes to price, facilities and services available. It's based on a self-evaluation by the property. Use this rating to help choose your stay! 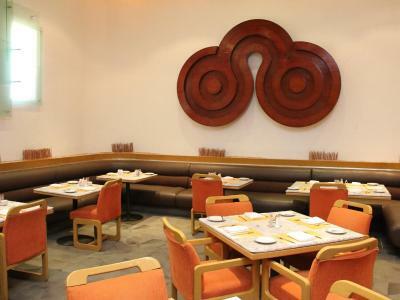 One of our top picks in Mexico City.A few steps from Mexico City's popular Zona Rosa area, this centrally located hotel offers 2 different on-site dining options, contemporary guest rooms and a variety of modern amenities. 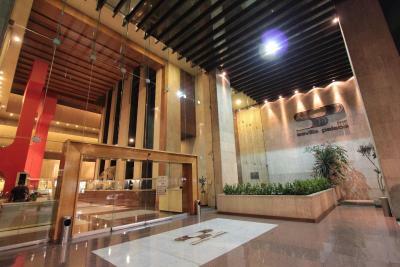 Sevilla Palace boasts an ideal location in the heart of the financial district. 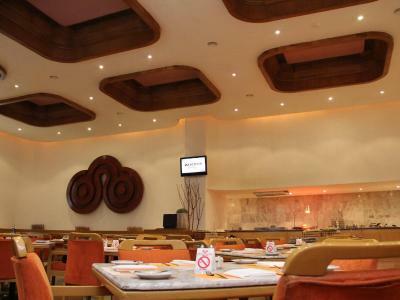 Guests at the hotel will find easy access to museums, shopping centers and theaters. The international airport is also located a short drive away. 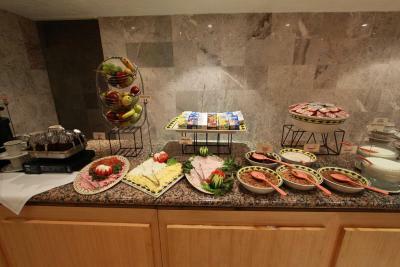 Thoughtful amenities at the Sevilla include wireless internet access, in-room movies and 24-hour room service. 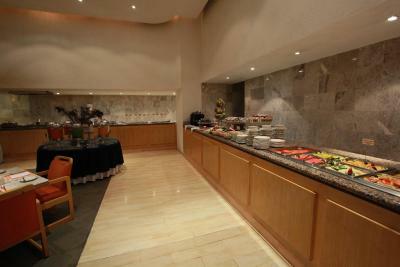 Guests can also enjoy on-site dining at Restaurant Leplanto or Los Naranjos. 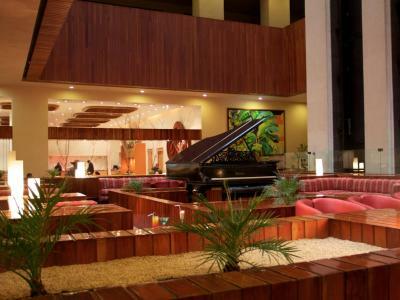 The hotel also features an on-site piano bar. When would you like to stay at Sevilla Palace? 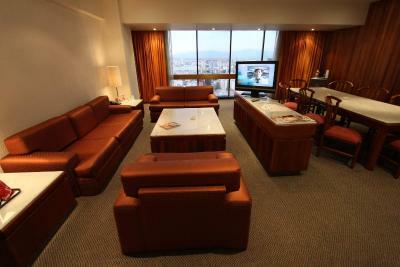 This air-conditioned double room features 2 queen-sized beds and includes free Wi-Fi, cable TV and a minibar. It also offers a coffee maker, safe and a telephone line with voice mail. The private bathroom with shower includes a hairdryer. Please note that the rate is based in 2 adults + 2 children. Maximum occupancy is 3 adults (see hotel policies). 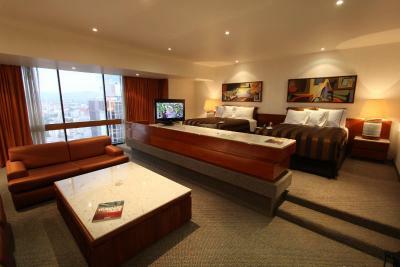 This air-conditioned double room features a double bed and includes free Wi-Fi, cable TV and a mini bar. The private bathroom with shower includes a hairdryer. This air-conditioned double room features 2 queen-sized beds and includes free Wi-Fi, cable TV and a mini bar. It also offers a coffee maker, safety box and a telephone line with voice mail. The private bathroom with shower includes a hairdryer. 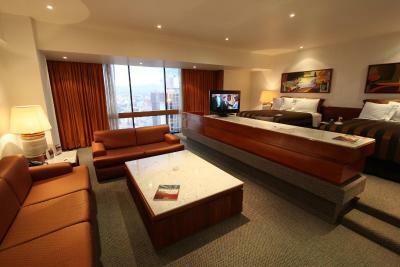 This suite has a spa bath, cable TV and hot tub. 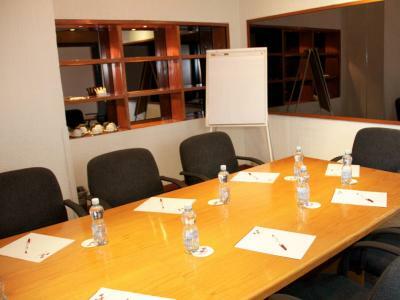 Business guests and travelers seeking to experience the magic that the best tourist and cultural places of Mexico City bring, find that Hotel Sevilla Palace is an unmatched choice. 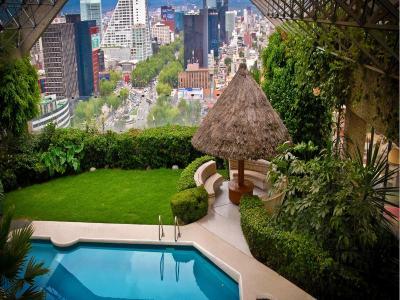 This hotel in Mexico City is distinguished by its contemporary architectural style. 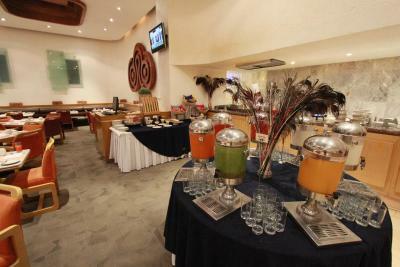 As we offer a generous list of services, we’re ready to meet the needs of all kind of traveler. 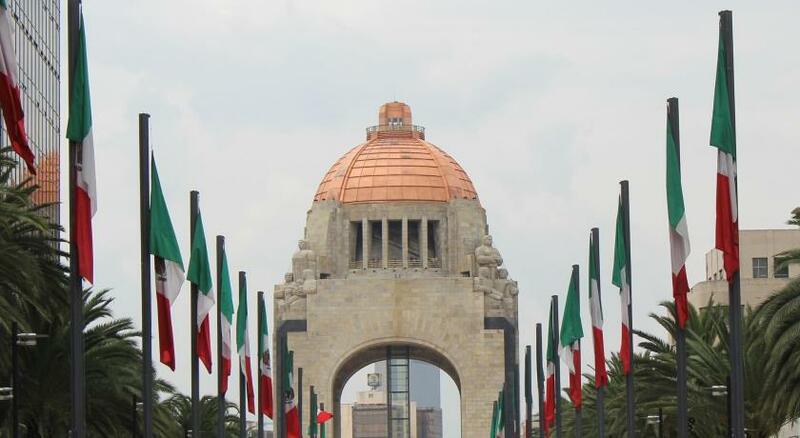 Plus, the hotel is situated in the most important financial center of Mexico: Paseo de la Reforma, only five minutes from the Historic Centre and one step away from the always popular Zona Rosa. 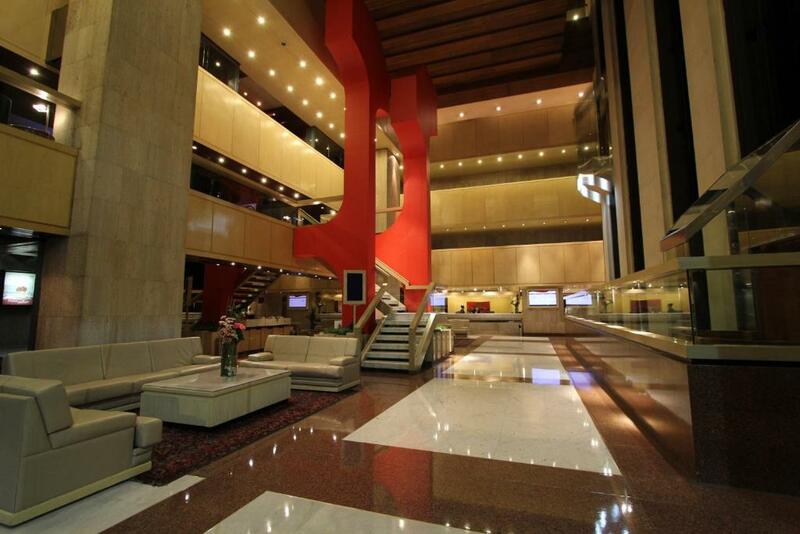 Get to know all the details that make Hotel Sevilla Palace one of the most distinguished choices among Mexico City hotels near Reforma. House Rules Sevilla Palace takes special requests – add in the next step! Sevilla Palace accepts these cards and reserves the right to temporarily hold an amount prior to arrival. Please note that bookings of 10 or more bookings will be considered a group booking and alternate policies may apply. Tired furnishing and furniture in public areas. Disappointed with the pool area. Poor lighting in the bedroom. Friendly staff and a central location. I enjoyed this place. I would highly suggest staying here, if you get the chance. The coffee machine in the room costs M$25 to use each time. The walls seem thin as you can hear TVs and doors slamming if there are lots of people moving about. 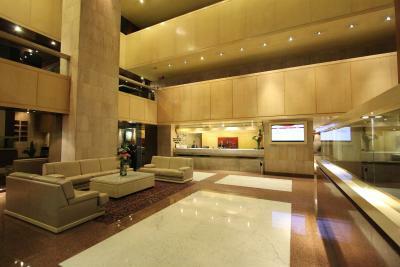 The location is central and 80s style opulent luxury with windowed elevators. Nice pool and spa. WiFi did not reach my room which was at the end of a corridor but was good in the public areas. First room was for smokers and they didn't tell me! So I had to go back to the reception with my luggage to ask for another one. That waste of time could easily have been avoided with better communication on their part. The hotel did not reply to a question I sent prior to check in. Not very professional. We also had a strange incident which they handled well though without any form of compensation (a free drink? Or a breakfast?). The cleaning woman apparently took my white nightdress away in the bundle of sheets to be cleaned and so come the evening, I had nothing to wear for the night and remained in my underclothes. I informed the staff both evening and morning and my nightdress was returned the following day. Dirty! They could perhaps have cleaned it as a form of compensation. Lastly, the hotel is not very new and could do with just a hint of upgrading. 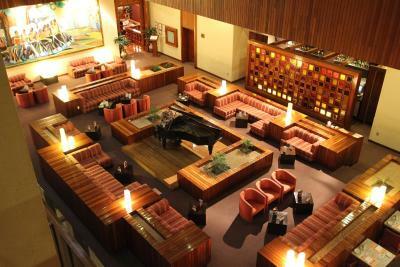 No decoration in the rooms, and the leather lobby sofas are worn but with a Genius discounted price for a 3-night stay, I was not too concerned. 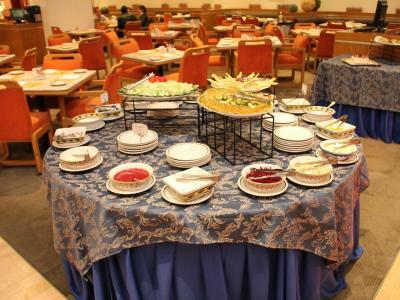 Buffet breakfast was not particularly inexpensive, but a very good choice of all breakfast dishes. Fresh, tasty and varied. The position of the hotel - especially for travel on the Metrobus - was absolutely marvellous. Back and forth to Polanco at the same speed as a taxi at a fraction of the cost. Also, we arrived from the airport by Metrobus Ruta 4, and had just a 9-minute walk from the bus stop. How convenient is that!!! Elevator safety, almost lost my arm, got stuck in door. The pool was great, warm and clean. The beds weren't very comfortable, I only stayed for one night though. Very clean and beautiful hotel.